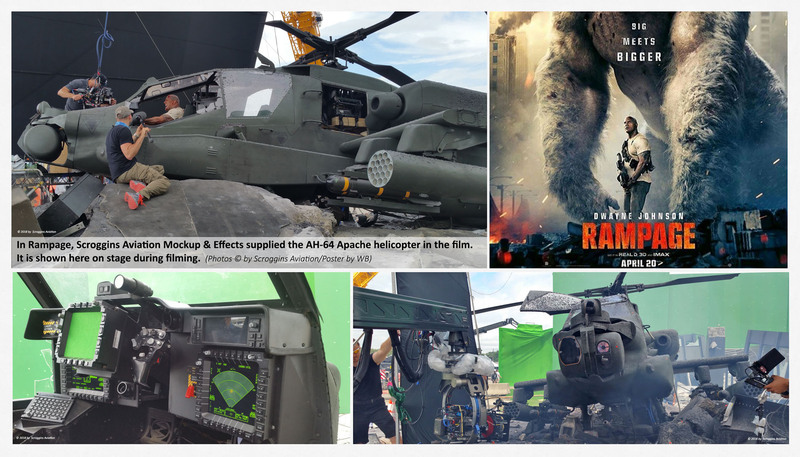 In Rampage, Scroggins Aviation Mockup & Effects supplied three helicopter mockups including this AH-64 Apache in the film. It is shown here on stage during filming. Rampage was released on April 13, 2018.